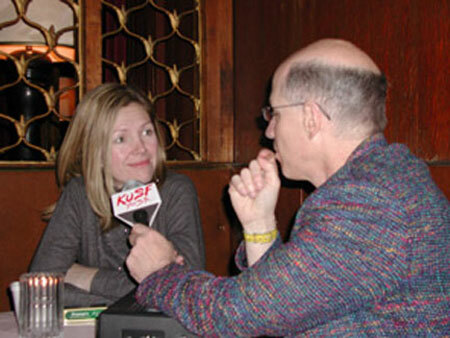 Dennis recently talked with legendary British pop group, Saint Etienne about their new release "Finnestare." They were in San Francisco to kick off their American Tour at Bimbo's 365 Club. The band chatted with Dennis over a quiet pint in a local pub before Sarah, Bob and Pete took to Bimbo's stage for their sound check.